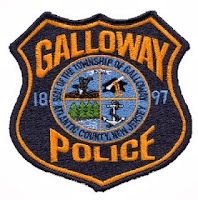 On Wednesday, February 04, 2015 Galloway Police responded to the area of Route 9 and Somerstown Lane in reference to the report of a motor vehicle that crashed into a tree. Upon police arrival Robert Price, 32, of Egg Harbor Township was seated in the vehicle and appeared disoriented. Price was initially treated on scene by The Galloway Township Ambulance Squad before being transported to Atlanticare Regional Medical Center for further treatment. The initial investigation reveals that Robert Price was traveling south bound on Route 9 in the area of Somerstown Lane when his 2006 Chevrolet Cobalt traveled across the center line and into oncoming traffic. Price drove through several bushes before striking a tree and coming to rest on the side of the roadway. Traffic was delayed for approximately 45 minutes while the vehicle was removed from the roadway. Price was charged with driving while intoxicated as well as multiple other motor vehicle violations. He was released pending a future court date. This case is currently being investigated by Officer Paul Smith.